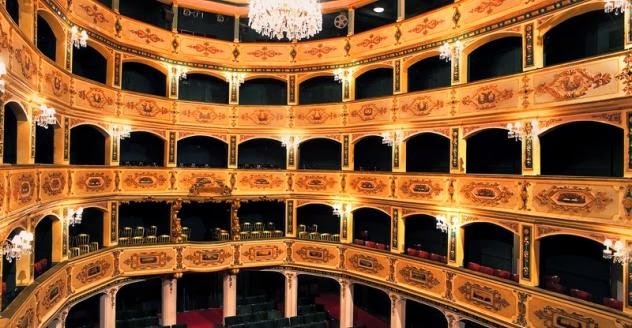 di-ve.com 19/11/2013: A survey carried out among 72 theatres across Malta and Gozo revealed that 429 productions were organised last year with a total audience of 293,772. The majority of theatres (57 per cent) had a seating capacity of less than 300. The share of theatres with a capacity ranging from 301 to 900 stood at 33 per cent, while the remaining 10 per cent could host events with an attendance of more than 900. From all the surveyed theatres, 44 per cent were owned or run by the ecclesiastical authorities. Another 35 per cent were owned by public entities. The remaining theatres were either managed by the private sector or by voluntary organisations. In 2012, these theatres collectively put up 429 productions - an average of six per theatre. Forty-five per cent of productions were produced by the theatre itself. The total number of performances held during the period under review stood at 843, an increase of 8.1 per cent over the previous year. On average, there were two performances per...read on.